Bidding is expected to be fierce for an exceptional set of original Herge drawings, up for sale in Paris. 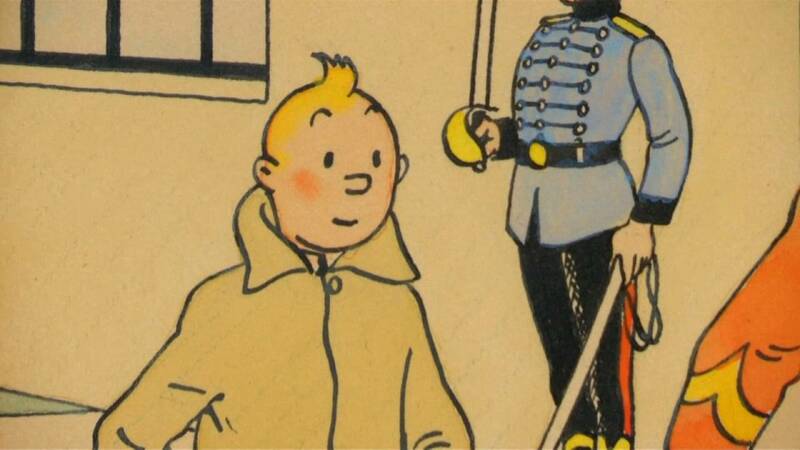 Works of this quality by the Belgian cartoonist and creator of Tintin are rare, and they include a unique chinese ink and watercolour drawing of Tintin and companion Snowy, the 1939 cover of ‘King Ottokar’s Sceptre’. Estimated hammer price? Up to 800,000 euros. “This one was never seen on the market. It was given in 1939 to the person who still had it, so it’s really the story of one life. This person lived with this drawing in her house since her childhood, as she met Herge when she was a little girl, and she received this as a gift.” says comics expert for Artcurial Auction House Eric Leroy.